Corporations are currently encountering the highest voluntary turnover rate in a decade. And when they have to refill the position that was vacated by an employee quitting, it now takes a record 29 days to refill that vacated position. These two statistics combined should be enough to motivate HR and business leaders to focus more resources on retention. But if you work in recruiting, your focus should be targeted specifically on recent new-hire turnover. This is because when a recent new hire quits, recruiting carries the burden of having to redo their previous hiring work (re-recruiting for the position) that should have lasted for at least 4.6 years (the average tenure for a new hire). So if you are a recruiting leader or a hiring manager and you want to dramatically reduce new-hire turnover, this article provides a checklist which will guide you in identifying individual new hires who are considering leaving, before it’s too late to do anything about it. And since 86 percent of new hires make the decision to eventually leave during their first six months (Aberdeen Group), those who are considering leaving will give off signals or flight-risk indicators that smart managers can see and act on, if they know what to look for. Every major corporation should use data to put together a customized approach for identifying which new-hires are at risk. If you have the time and the resources, conduct a statistical analysis in order to determine which behaviors or indicators generally predict future turnover at your firm (in each job family). Or simply use one or more of the following listed approaches to identify those individual new hires who are at risk of leaving early. Some of these are quite aggressive, so only use the ones that fit your comfort level, ethics, and company values. The 30+ identification approaches are divided into five distinct categories. If you are a risk-adverse individual (as many in HR are) don’t read any further unless you are prepared for a dose of the highly competitive world of mega-aggressive recruiting and retention. Individuals who meet these criteria should be looked at more closely. They work in a high turnover team or job — pay special attention to individuals that work on a team or in a job that has historically had a high early turnover rate. They were hired by an “overselling” recruiter/manager — 61 percent of new hires say “aspects of a new job differed from expectations set during the hiring process” (Harris Interactive). Some individual recruiters have a history of overselling a job, a team, or a manager. This occurs because individual recruiters are rewarded/recognized when a finalist says yes to an offer. And no one follows up to see if they sold a bill of goods to the recruit, who instantly becomes disillusioned when they start the job. These recruiters need to be identified because the reason for early new-hire turnover is often the fact that the real job didn’t match what they were promised during the interview process. Individual hiring managers can also be guilty of overselling, so they should also be tracked to see if they have a pattern of early new-hire disillusionment or turnover. Post-exit interviews will generally reveal the instances when overselling occurred. They hesitated before saying yes — individuals who hesitated or who asked for a delay before accepting your offer should be especially targeted. Also, focus on individuals who tried to renegotiate the offer, but that effort failed, and those who hesitated before accepting an interview. The new hire made no attempt to make referrals — most new hires make an attempt to make hiring referrals during onboarding or during their first month. If they don’t make an attempt to make referrals, assume that they are not happy enough with their current job or firm to refer their colleagues. They make negative social media comments — if company policy allows, check to see if any new hires mention on their social media accounts that they are unhappy or they have issues with their new job. New hires who have already applied for a transfer — if your firm allows a new-hire to apply for an internal transfer at any time. Take it as a warning sign if they apply (or even ask about the probability of a transfer) before their six-month anniversary occurs. Such an application for transfer might indicate that they are frustrated with their current situation, but not necessarily with the company itself. After onboarding is completed — immediately after onboarding ends, if they are disappointed, they may begin thinking that they made a mistake. So hold a meeting with them immediately after onboarding to identify their frustrators. After the completion of training — a key reflection point for new hires is after they have completed their formal training. They often see this as a decision point, especially if they haven’t learned what they expected to learn. 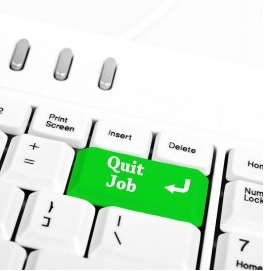 Zappos even offers a $3,000 payment for new hires who decide to quit after training. Incidentally, not signing up for additional training may be an indication that they are not planning an extended future with your company. After a formal assessment — if a new hire is disappointed after any formal performance appraisal or major criticism within their first three-to-six months, they may make the decision to begin looking again. If new hires undergo 360° assessment, treat scores that would be considered low for a new hire as an early turnover warning sign. On an anniversary date — new-hires often reconsider their decision after a 30/60/90 day work anniversary or when their probation period ends. A roadblock in their job — any type of rejection on the job can lead to frustration. So monitor if a new hire was recently turned down for a key project, a raise, an assignment, or a request that was important to them. After a colleague leaves — if they joined the firm with another close colleague, and that colleague departs, they should be considered as having an increased risk of leaving. If they are a top performer and their manager leaves the firm, the fact that they might follow their manager should also be considered. Major firms are raiding — if your recruiting function’s competitive intelligence tells you that other firms are actively seeking a large number of recruits in a new-hire’s job family, you need to take notice. You can assume that the top performing new hires are at risk of being poached. This is an especially important indicator if these rival firms have a history of successfully poaching your new hires. When they complete their college/advanced degree — if your target is completing a college program, you should take notice. This is because perhaps they couldn’t get a better job when they applied at your firm because they hadn’t finished their current degree program. So after completing it early in their tenure, assume that they are being courted by other firms that are recruiting recent grads at their university. A major lifestyle change occurs — if you happen to become aware of significant lifestyle events during their early tenure (i.e. a new baby, a divorce, the last kid graduates, or other major lifestyle change), take notice. These events may cause them to realize that they need more pay or that they now have the freedom to change jobs. Sometimes people are the best source for identifying which new hires are at risk of leaving. Hold a flight risk meeting — hold a “flight-risk meeting” once every quarter among managers, team leads, and supervisors. During these meetings, everyone provides their nominations for individuals in the group that are at risk of leaving. Track over time which individuals are the most accurate predictors of new-hire turnover, and then add weight to their nominations. Hold a new-hire problem-identification meeting — firms like Google have found that regularly scheduled “no-cancel” problem identification meetings with their boss can increase both new-hire productivity and retention. The goal of the meeting is to identify and develop a plan for resolving each of the major problems that the targeted new hire is encountering. Ask the team who is at risk — team members and close colleagues are the most likely to know who is frustrated. So directly ask them to help the team by identifying flight risks among new hires. Or anonymously survey team members and have each one rate every new hire on their likelihood of leaving using a below average, average, or above average scale. Ask their mentor — if the individual new hire is assigned a mentor/buddy, it makes sense to ask them to monitor and periodically report whether their mentee is at risk of leaving. Ask others who they work with — you should also ask “super knowers” (well-connected individuals who seem to know everything that’s going on in a business unit) who is unhappy and considering leaving. In many cases, vendor employees and consultants who new-hires work closely with are also likely to know who is a flight risk. Remember that if you want to curb new-hire turnover, you have to be aggressive by determining if they are still actively searching. You don’t have to tell the new hire that you are taking these bold steps. Ask them directly if they have stopped searching — if you are unsure, be honest and directly ask them if they have completely stopped responding to recruiter calls. Review their resume — track their average time in previous jobs before leaving. In order to find out if they have a history of early turnover. Search job boards — do a search of the job boards to see if their resume is still active on any of them. Call their former company — after they accept and up to one week after starting the job, call HR at their former firm to verify the fact that they have officially resigned. You can also call their references, who might reveal whether they are having second thoughts or if they are still looking. Search social media — search LinkedIn and social media to see if they have actually updated their profile and changed the name of the firm where they work. Run blind ads — place a position opening ad and see if any of your new hires respond. Blind recruiter calls — have a third-party recruiter call/contact them and without mentioning the name of your firm, ask them directly if they’re interested in a new job. Track negative work behaviors — a sudden pattern of tardiness or absenteeism can be an indicator of a new-hire’s Also, look for individuals who frequently leave early, decline new projects, decline overtime opportunities, and those who stop volunteering for assignments. Obviously, being frequently absent on several afternoons or on Fridays or occasionally wearing a suit to work can also be indicators that a new hire is interviewing at other firms. Underused new hires — if the new hire is a top performer, being underused may frustrate them (Google found that to be a primary turnover cause). This is especially important for go-getters and high-energy new hires. These individuals frequently get frustrated when there is a delay (even though they are a new hire) in assigning them to high-visibility or leading-edge projects or team assignments. New hires who have not shown interest in stock options — if new hires are eligible for stock options, those who express little interest in them might not be planning on staying for the long term. Physical indicators that they are looking — updated resumes that are accidentally left on printers or accidentally spotting a new hire scanning job boards should not be overlooked as flight-risk indicators. If your firm has an in-house resume builder and your company policies permit it, noting which new hires use it (who are not applying for promotion) can give you a heads up. Depending on your company’s privacy policies and ethics, realize that some firms have actually done an internal server search to identify their employees who frequently visit Internet job boards on the company computer. Hire a private detective — if you’re really desperate to keep them, consider hiring a private investigator to see if they are actively looking again or if they are unhappy. This might on the surface seem outrageous but it has been done by corporations with deep pockets for key individuals. A retention bonus — offering more money to get a frustrated new-hire to stay only results in a wealthier, but still a frustrated, So don’t do it. The key is to fix the job first and only then if you find it necessary, give them extra money that is tied to performance. Incidentally, a “project completion retention bonus” (where every team member gets a bonus if no team member leaves before the project is completed) can be effective. It works because it uses peer pressure to encourage everyone on the team to stay until the project is successful. A stay interview — hold a “stay interview” (why do you stay?) with at-risk newhires. During this one-on-one interview, first ask them what factors keep them on the job so that you can proactively reinforce them. And later during the discussion, ask them what job-related factors frustrate them (and then work to minimize them). More of/less of list — work with targeted new-hires to build a “more of/less of” list. This list covers increasing the aspects of their job that they would like to do more of, and then the aspects that they would like reduced (less of). Ask them to list the most impactful excitement factors and motivators and use them to keep them motivated. Ask them to warn you — sometimes being honest and direct is the best approach for preventing turnover. So if a targeted new hire trusts you, simply ask them to warn you whenever the time comes when they actually return an external recruiter’s call. I have successfully used this alert and I recommend it because it will at least give you a short amount of time to counter what others are offering. Ask their mentor for help — if they have a mentor/buddy within the organization, work with them to identify the factors that frustrate the at-risk new-hire. Personalized retention plan — put together a “personalized retention plan” that addresses each of the new-hire’s primary excitement factors and their frustrators. The plan should include milestones and regularly scheduled retention meetings. Personalized learning plan — if the new-hire reveals their desire to learn more, put together a personalized “learning plan.” It should include specific learning goals, milestones, and if possible, an individualized learning budget. Flexibility options — often top-performing new hires desire more flexibility, choice, and freedom. So offer them some free time to pursue their interests and/or a range of choices in projects, scheduling, and who they work with. Show them what they can expect — if the new hire is performing well, project their future in the organization. Start by highlight some of the likely upcoming opportunities that others in their job experienced within their first next six months. And if you have specific assignments in mind for them, show them your plan. Share performance data — in cases where the new hire is a top performer who is working in a job where there is already quantified performance data. Periodically share performance data with them, so that they know that their performance is exceeding expectations. Also, capture and share key quotes from other managers, executives, and customers that praise their work. Recruiting, in general, is moving toward a data-based decision-making model with a special focus on predicting. And because early new-hire turnover dramatically increases the workload on recruiting, the recruiting function should take the lead (along with the retention function) in developing a predictive process for the early identification of new-hires that are potential flight risks. The typical corporate model that only notifies managers that someone is going to quit when they actually submit their resignation is intolerable. It needs to be replaced with a predictive model that alerts managers about potential turnover problems with enough lead time so that the turnover triggers can be resolved. Incidentally, if you missed it, ERE.net published a companion article entitled “Develop a Process for Limiting Early New-Hire Turnover” on 6/20/16.